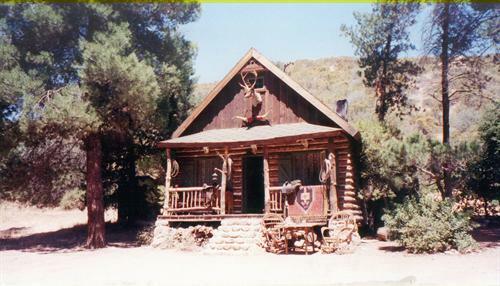 Hundreds of acres with multiple Movie/Film/TV/Music Video/Commercial sets in the 30 mile zone including Huge Mexican town / city w/ Cantina, Church, Hotel, Police station/ Jail, School, interiors, 50's town, gas station, diner, General store, Bank, etc., Forest areas w/ Cabins and Barns w/ interiors, Extensive insert Dirt Roads, Misc. Outdoor settings, Lonely gas station, Huge open areas, mountains, mesa, lots of room for more sets to be built by production and MUCH MORE!!! !Lots of parking for cast & crew. CALL Daniel Veluzat DIRECT (661) 810-9898 for more info., scouting, availability, and/or Booking! 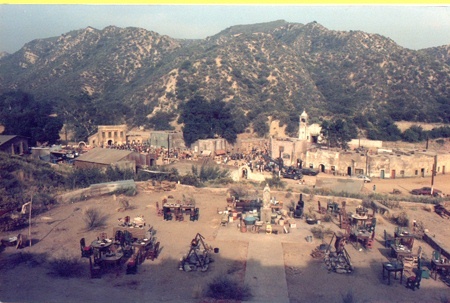 Also, to receive more pictures of areas on ranch, to hear about our other film locations which include A huge western Town, SOUND STAGES and production facilities. Hope to see you in production! 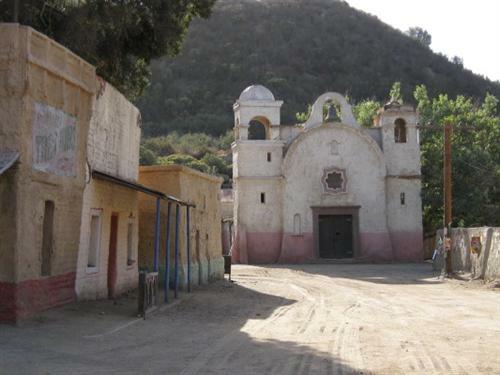 VELUZAT RANCH Mexican town CHURCH and ST.
VELUZAT RANCH - 50's Town w/ gas station, etc.